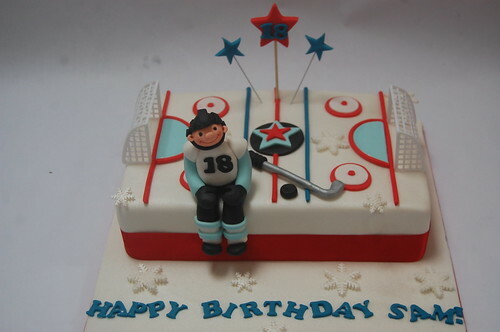 An updated version of our Hockey Shirt Cake, complete with little player! 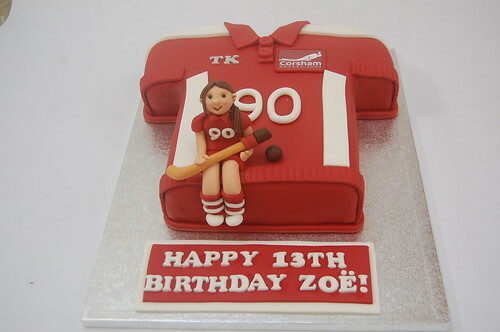 The Hockey Shirt Cake – from £80. 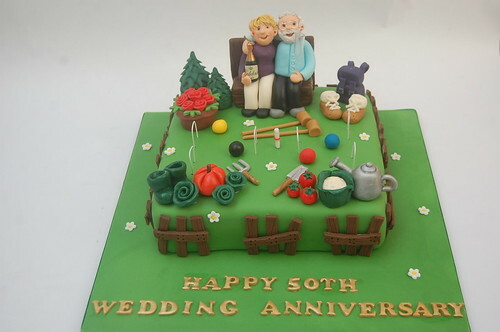 Special commission for an ex-policeman who is fond of his golf, hockey and football! 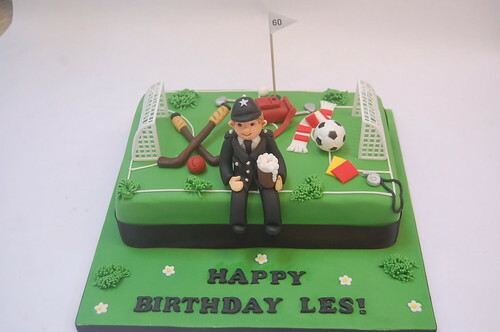 Sporty Policeman Cake – from £80. All we were told is that Sam likes golf, money and food! 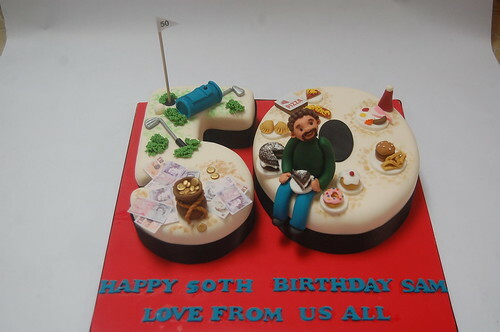 Sam’s 50th Cake – from £90. Special commission for an ex policeman who loves playing hockey! 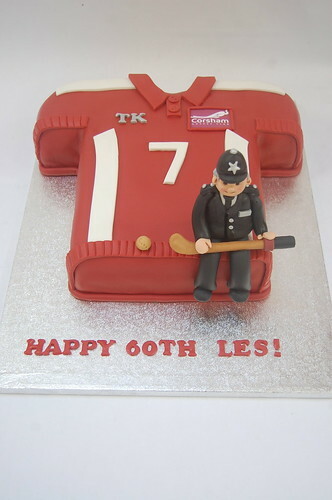 The Corsham Men’s Hockey Shirt Cake – from £80. 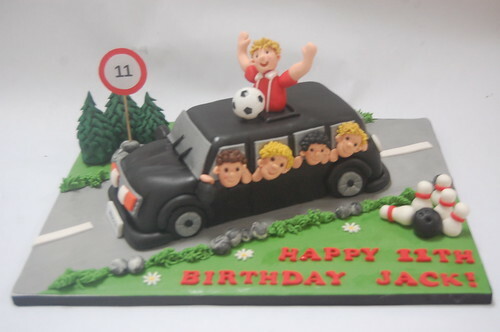 The vibrant colours and happy faces make this such a winner of a cake! 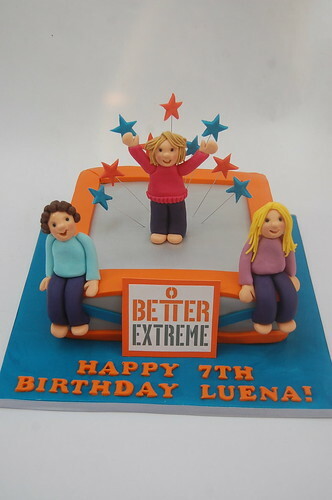 The Better Extreme Trampolining Cake – from £80. 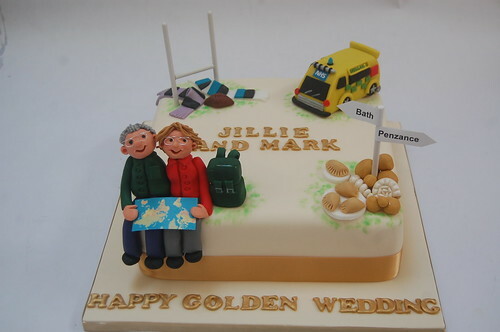 Very personal to the customer, reflecting Mark’s love of rugby and his recent frequent hospital visits and Jillie’s Cornish heritage and love of travelling! Jillie and Mark’s Golden Wedding Cake – from £90.